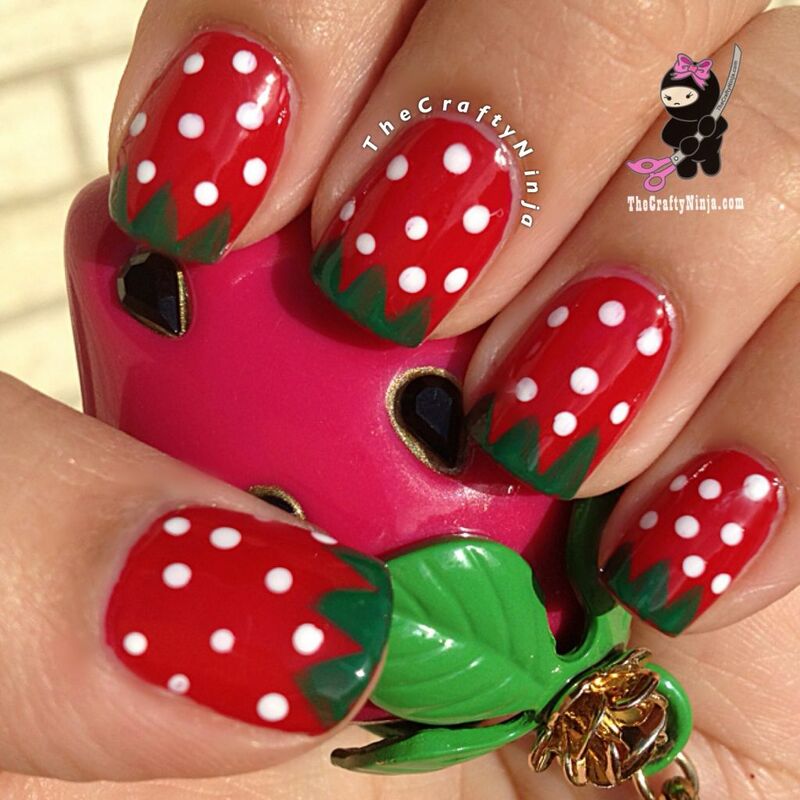 Summery Strawberry Nails are so yummiliciously cute! One of my favorite fruits to eat and so adorable on your nails. 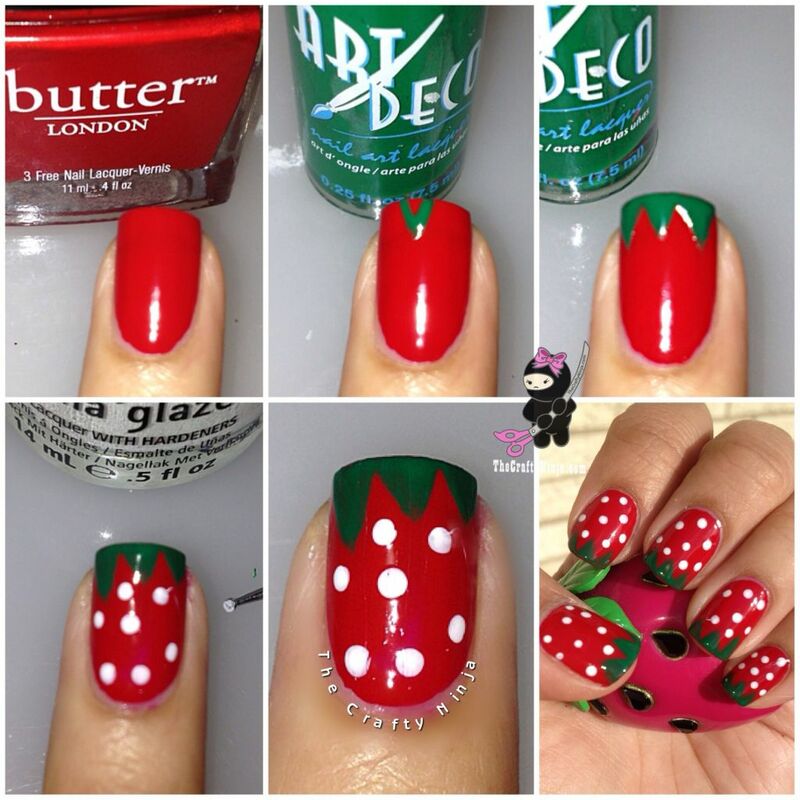 Check out this easy Strawberry nail tutorial perfect for the beginner nail artist. I used: Butter London Pillar Box Red, China Glaze White on White, LA Colors Art Deco, Seche Vite, and a Nail Dotting Tool. Check out my Nail Care, Products, and Tools HERE.